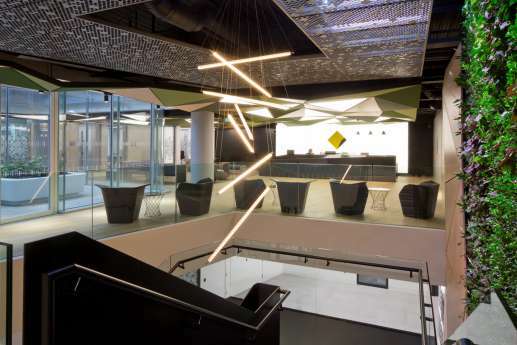 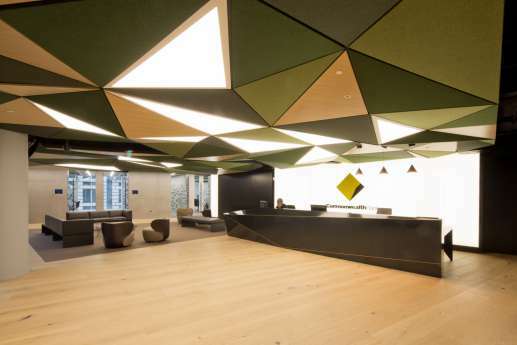 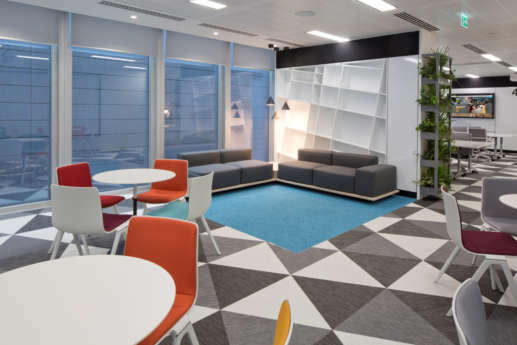 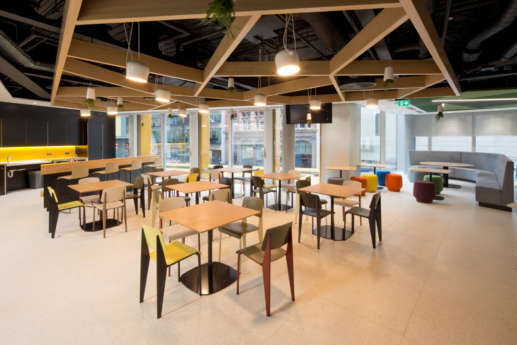 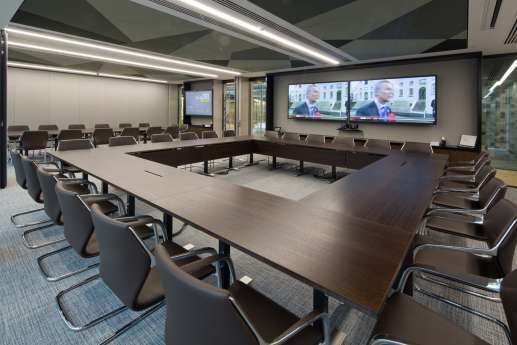 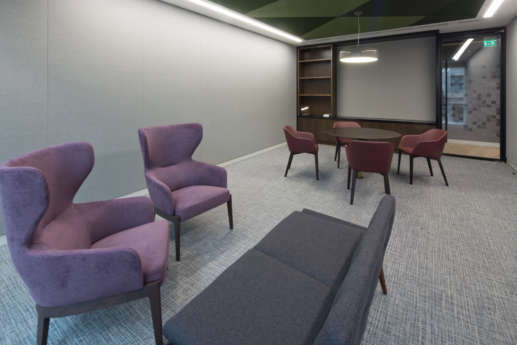 We worked with the Commonwealth Bank of Australia to fit out levels 1 and 2 in its London branch, at 1 New Ludgate. 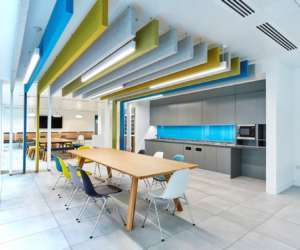 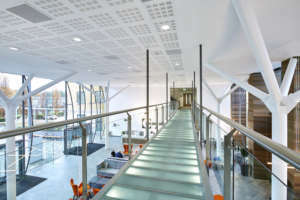 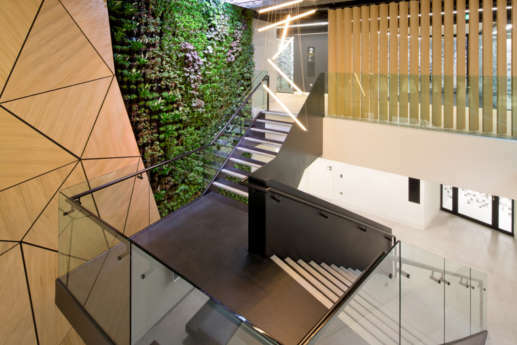 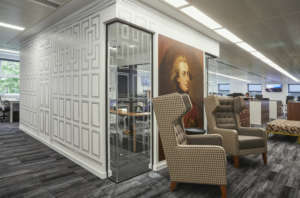 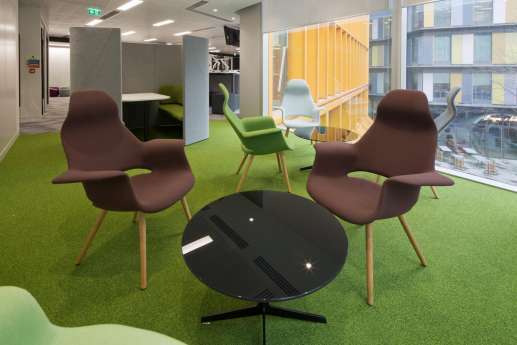 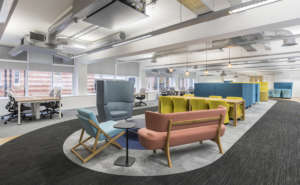 The project involved the Cat B office fit out of 44,000 square feet of commercial office space. 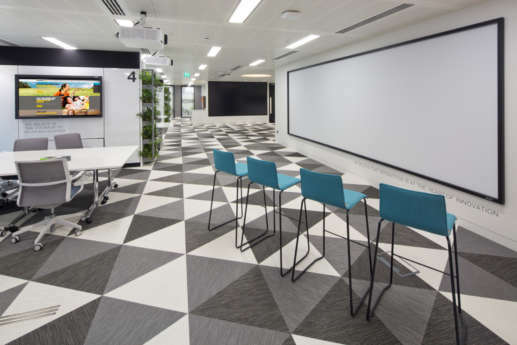 We also installed new AV and a new ‘floating’ staircase between Levels 1 and 2, upgraded the MEP systems, and added a new commercial-grade kitchen, along with a UPS-backed trading floor. 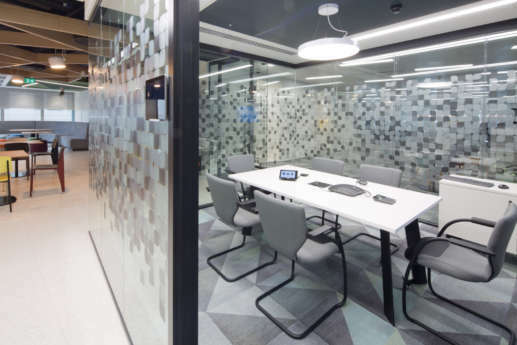 Level 2 consists mainly of client meeting rooms with state-of-the-art video conferencing, along with open plan administration work areas. 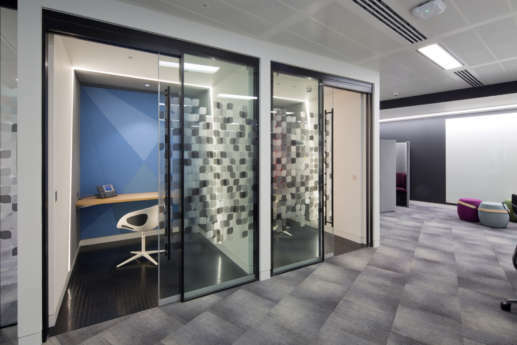 We also created a large divisible ‘town hall’ for use as four separate meeting rooms or opened up to form a larger meeting area thanks to new sliding/folding walls. 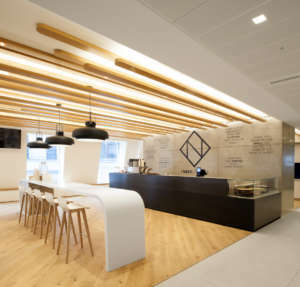 The reception ceiling is a mixture of Barrisol, fabric and timber panels. 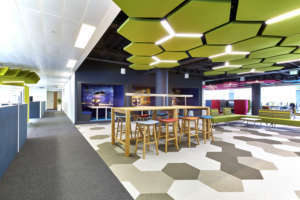 We co-ordinated these to meet the architectural concept of star constellations, while maintaining clear access to services. 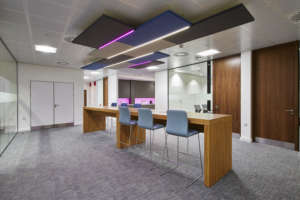 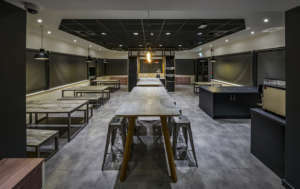 Level 1 contains the main trading area, support services, and welfare facilities, as well as a UPS-backed main comms room. 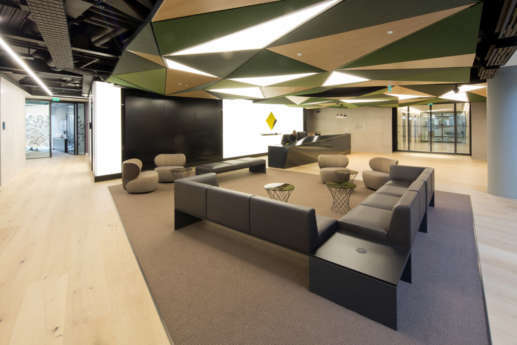 The trading area was fully UPS-backed to eliminate the risk of down time to the business.